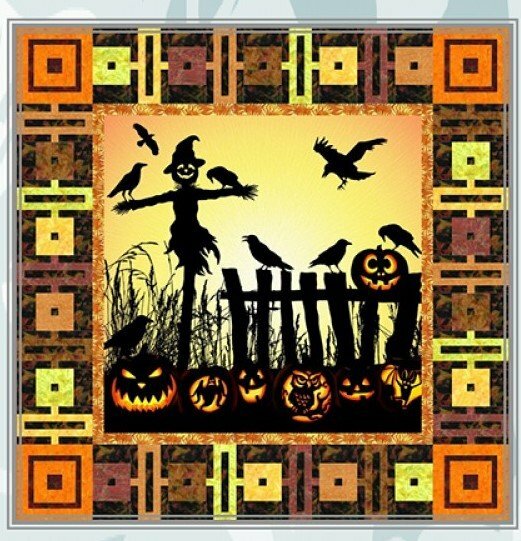 The Harvest Scarecrow Quilt Kit features the stunning Harvest Supernova panel from Hoffman Fabrics. This quilt kit includes the pattern and the fabric for the top and binding. The finished quilt measures 65" x 65".